Road biking in the Alps can be somewhat demanding. But with the Rhone valley below us, which is basically as flat as a pancake thanks to the glacier which carved it out millenia ago, you can mix and match: a day of climbing to a fabulous col, or a day of flat, speeding through the vineyards and fruit orchards, or a bit of both – the scenery is spectacular no matter what altitude. Considerate car drivers, cycle lanes on most of the main roads, and pretty much car-free riding through the vines, orchards and alongside the Rhone river. The roads around Verbier and La Tzoumaz are often part of the Tour de France, Tour de Suisse and Tour de Romandie but they can be tackled by mere mortals as well as professionals! In 2016 the 17th stage TdF had a stage finish in Finhaut/Emosson, it was a spectacular location and race! Sometimes we have the pros using the hill from Riddes to La Tzoumaz as a training route – it’s the same length and vertical gain as Alpe d’Huez, just not quite so many hairpin corners! 1 transport back up the mountain each day is included in the price of your holiday. 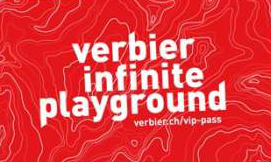 Mountain Biking trails and the Verbier Bike Park are renowned! Ever evolving, and with the promise of more routes the La Tzoumaz side this summer, we are looking forward to some epic days out! The lift system is open all summer for biking in Verbier but La Tzoumaz has a shorter season, but don’t let that put you off – we include a daily lift up to the top in our vehicle & trailer which gets you into the lift system and some of the best single track ever!!! We can arrange support vehicles and guides for both road and MTB to let you experience the best the area has to offer. Alternatively if you would like to ride in the area independently we can point you in the direction of some brilliant rides – we have plenty of electronic routes to share with you from our own experience. Flying: Swiss Air and BA don’t charge extra if the weight comes in under your allowance, but rules change regularly so please check. You may also find flights to Sion, 30 minutes from our door. Train: an excellent option, Eurostar, look to arrive in Martigny – only 30 minutes from the chalet. Happy to help arrange taxi from stations or airports. Transfers to the chalet: from Chf 50pp each way from Geneva (1h 40), including bikes and all your gear! Relax those weary muscles in the Hot Tub on the terrace, and more heat in the sauna. There’s a hammock, sun loungers, deck chairs on the huge terrace, with the most fabulous views. Books and magazines aplenty. Ah yes, it’s a proper holiday !! There’s a communal fridge for you to use, and we run a low priced honesty bar. Vegetarian, gluten free, lactose intolerance etc all catered for. Please let us know in advance. To set you up for the day, breakfast is a hearty and healthy experience. We serve breakfast to you on all 7 days, always with a cooked option. Your choice includes English style with eggs and bacon, toast, porridge, cereals, dried fruits and seeds, fruit juices, yogurts, homemade jams. Homemade cakes or biscuits are provided every day of the week. Tea (proper english tea! ), fruit infusions, coffee and hot chocolate laid out for you to help yourselves to which will stave off hunger pangs after the day’s activities..
After the exertions of the day you will be served a handsome 3 course dinner on 6 nights. BBQ fest on the terrace in suitable weather. Good house wines or beer accompany each meal. Coffee, teas & infusions are always available for you to help yourself to.